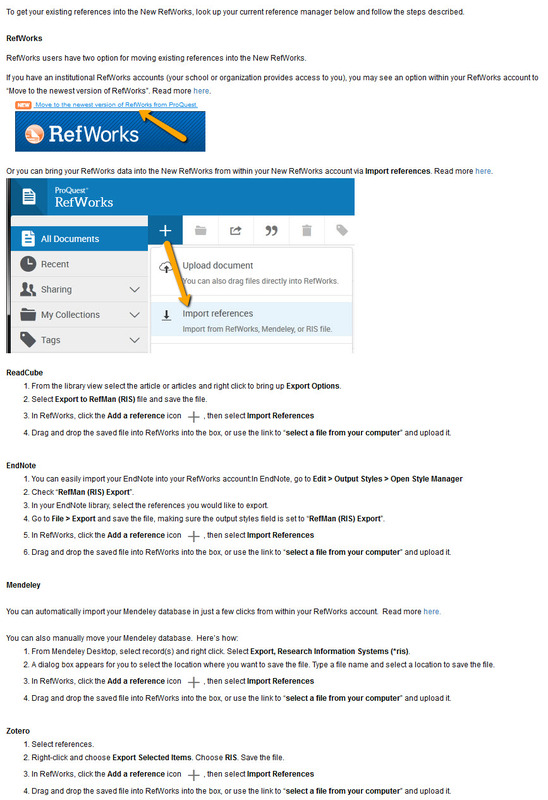 This short guide explains how to get started using the brand new RefWorks platform- whether you're new to RefWorks or seeking to migrate your references from the legacy platform. RefWorks has import filters for over 800 databases and new filters are added on a constant basis. 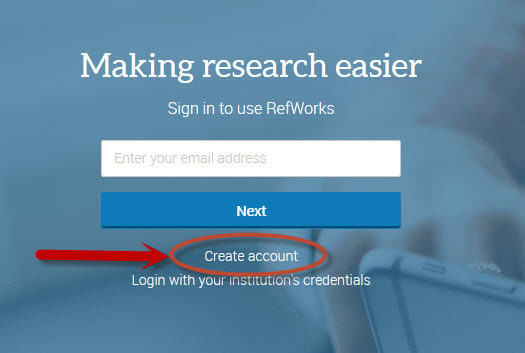 RefWorks allows you to continue using your RefWorks account even AFTER you graduate?! Fill in your information making sure to use your EASTERN email address (you can’t sign up with @yahoo.com, @gmail.com, etc.). Using your Eastern email address will identify you in the system as being eligible for a free account. An email with a link is sent to you in order to complete the registration process. PLEASE CHECK YOUR SPAM/JUNK FOLDER FOR THIS. Once you activate your account, you’ll get access immediately and can get started managing your documents. Checkout latest news about RefWorks & their products from their Twitter account!